First I need to explain why I believe there is so much demand for software and why I believe the curve is inelastic, i.e. 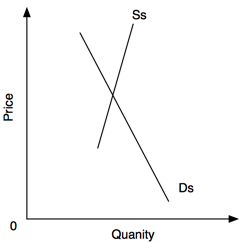 why a higher price doesn’t reduce demand very much. The reasoning here breaks into five groups: technology progress, separation of demand from cost, separation of benefit from delivery, lack of evaluation and the effect of “fixed” work - although the last in that list doesn’t always play a part. Traditional development process - and even Agile processes - tend to separate the demand for software technology from the supply, consequently those requesting technology are isolated from the cost of that technology. Ideally companies would evaluate the benefits delivered by IT work but all too often this fails to happen. Instead companies may rely on the original claimed benefits. But this might the result of optimistic thinking itself: “38% of businesses openly admit benefits are overstates in business cases in order to obtain project funding” - from a Cranfield Business School study I reported in October 2010.